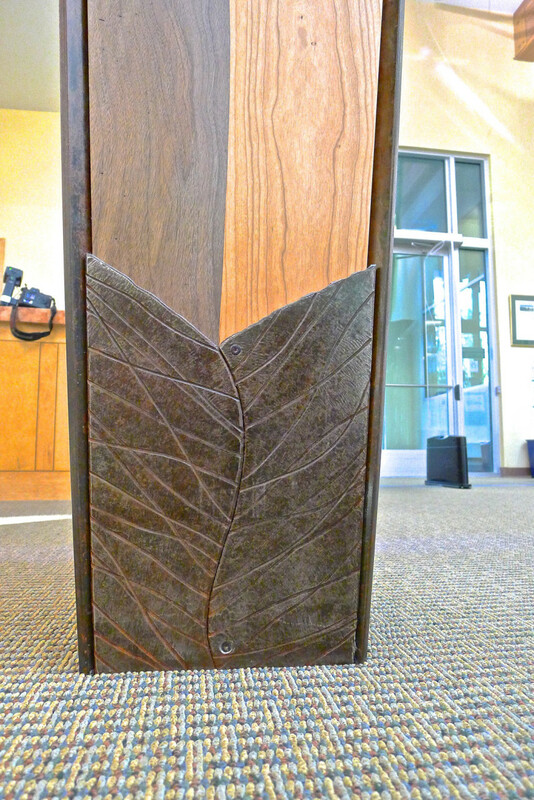 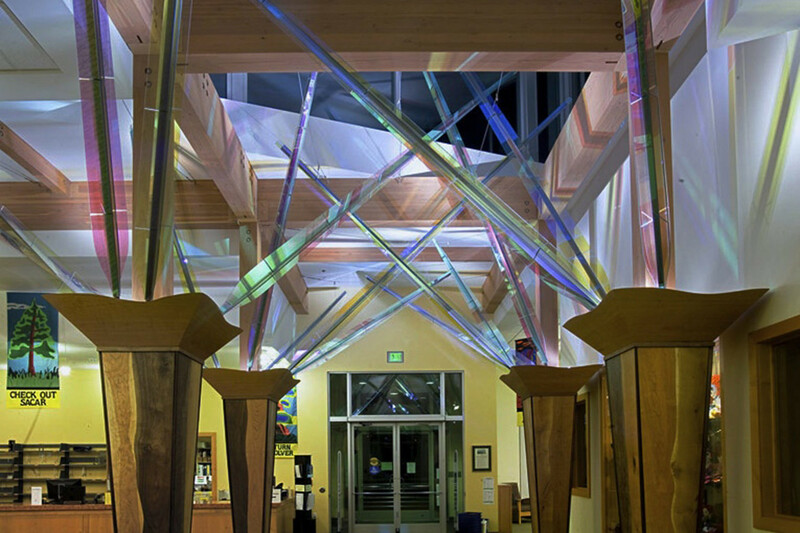 “Mollie’s Garden” is a sculptural wood, steel, and glass installation in the entry of the Forest Grove, Oregon, Library. 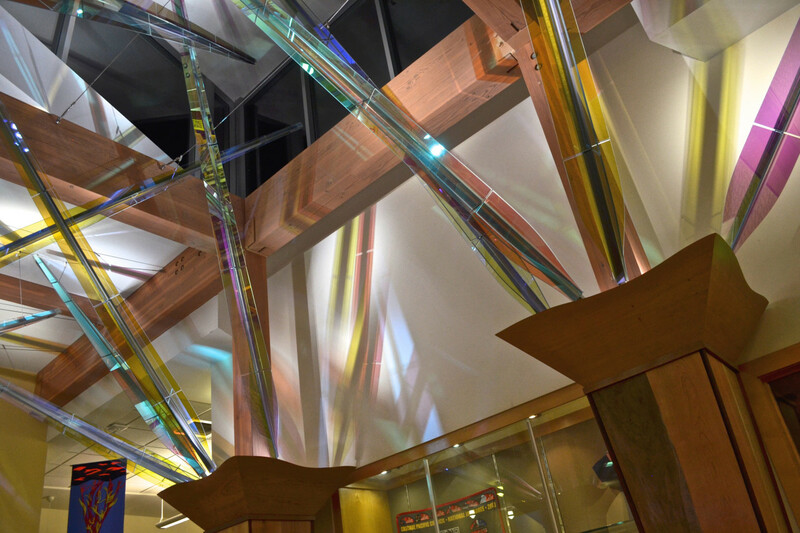 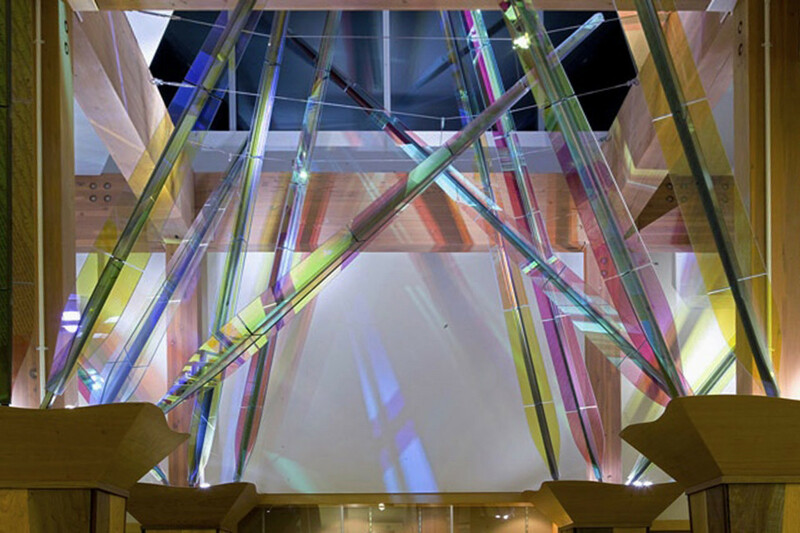 Installed on four columns supporting the library’s main skylight, the sculpture rises toward the light in a gesture suggesting an enormous phototropic botanical specimen—fitting imagery in a building devoted to the light of knowledge. 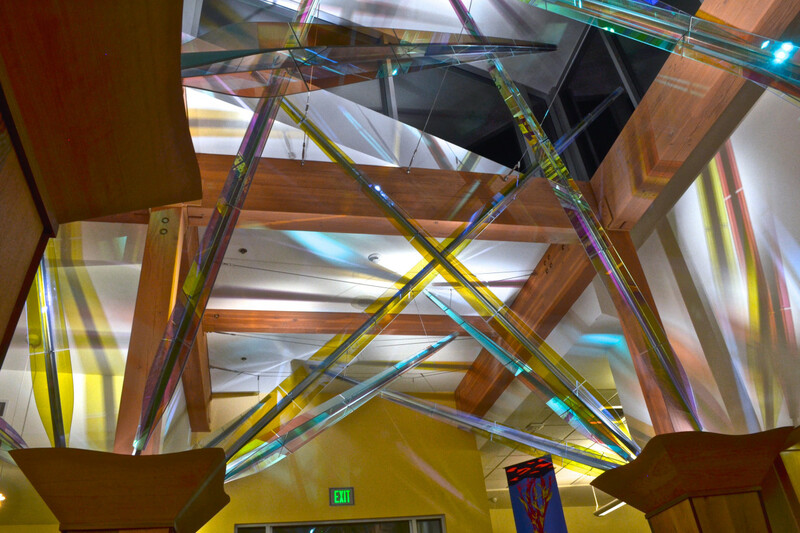 This project was in the works for many years and involved donations from three artists as well as scores of local citizens and businesses. 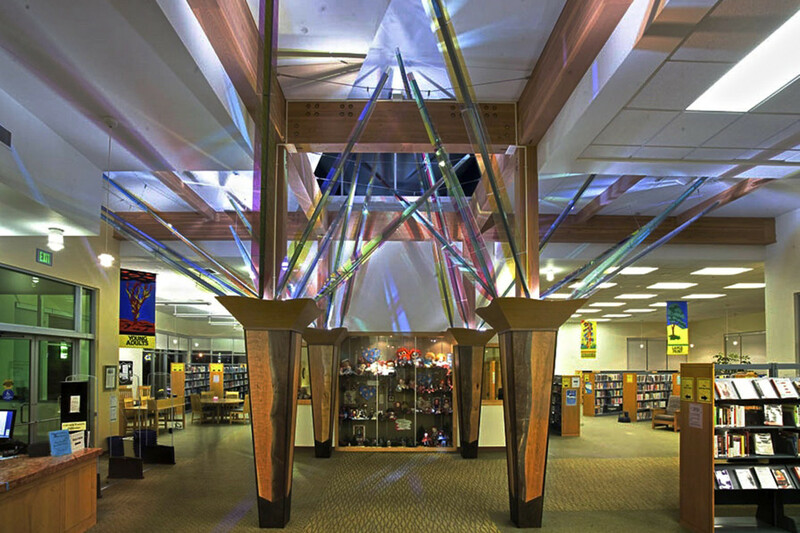 Mollie Starbuck, avid gardener and Ed Carpenter’s mother, spent several years as a volunteer at the Forest Grove City Library. 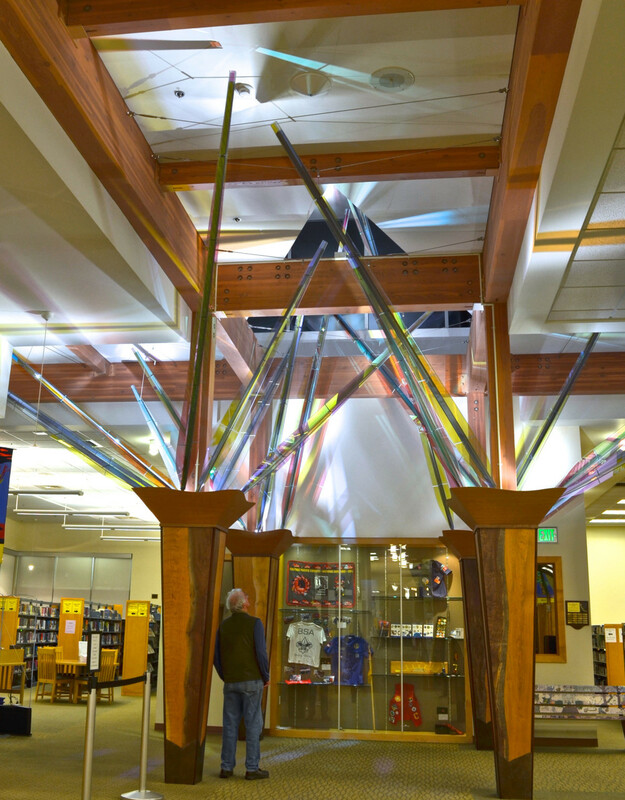 When she died in 1998, the library received many donations in her memory. 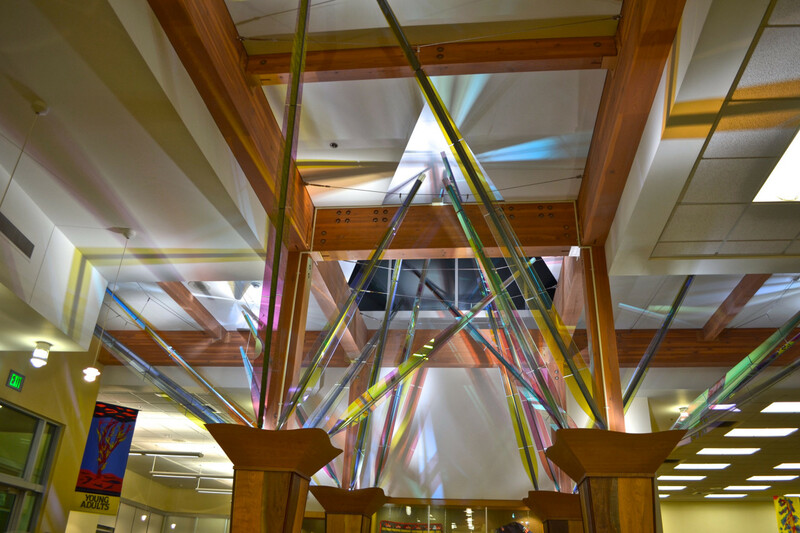 At the request of the Library Director, Colleen Winters, Ed collaborated with FFA Architects to configure the space to receive this installation.